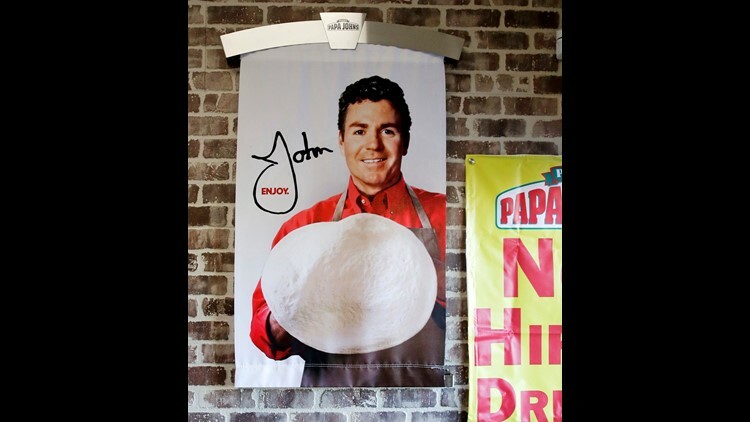 Signs, including one featuring Papa John's founder John Schnatter, at a Papa John's pizza store in Quincy, Mass. Papa John’s plans to pull Schnatter’s image from marketing materials after reports he used a racial slur. Schnatter apologized Wednesday, July 11, 2018, and said he would resign as chairman after Forbes reported that he used the slur during a media training session. Schnatter had stepped down as CEO last year after criticizing NFL protests. NEW YORK — Papa John's, which has featured founder John Schnatter as the face of the company in logos and TV ads, is pulling his image from its marketing after reports he used a racial slur. His face was off at least some materials by late morning Friday, though the company said the details and exact timing for everything were still being worked out. The pizza chain said there are no plans to change its name. Schnatter is still on the board and is the company's largest shareholder — meaning he remains a key presence. Papa John's has acknowledged in regulatory filings that Schnatter's public role as its pitchman could be a liability if his reputation was damaged. The company got a taste of that last year, when Schnatter stepped down as CEO after blaming disappointing pizza sales on the outcry surrounding football players kneeling during the national anthem. 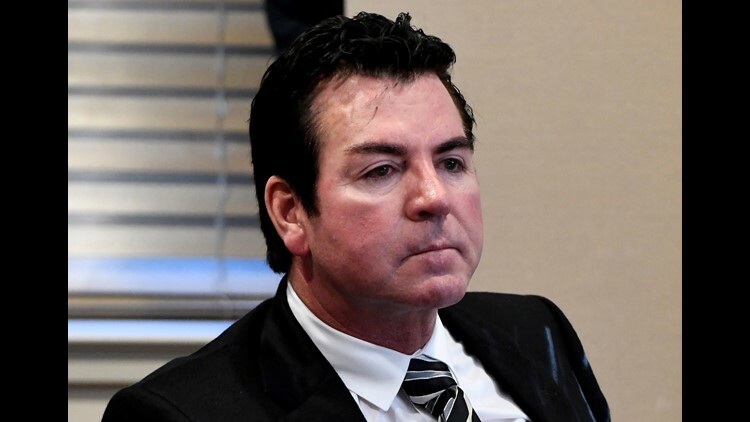 This week, Papa John's was already trying to further publicly distance itself from Schnatter after Forbes reported he used the N-word during a conference call in May. Schnatter apologized and said he would resign as chairman. That prompted the company's stock to recover some of the losses it suffered after the report, and shares were up less than 1 percent Friday. Schnatter owns nearly 30 percent of the stock. Photo shows a slice of cheese pizza at the Papa John's pizza shop in Quincy, Mass. Papa John’s plans to pull Schnatter’s image from marketing materials after reports he used a racial slur. Schnatter apologized Wednesday, July 11, and said he would resign as chairman after Forbes reported that he used the slur during a media training session. Schnatter had stepped down as CEO last year after criticizing NFL protests. In addition to appearing in TV ads, Schnatter's image has been on packaging and at the center of a logo that usually was all over the website of the Louisville, Kentucky-based company. Schnatter had used the slur during a media training exercise, Forbes said. When asked how he would distance himself from racist groups, Schnatter reportedly complained that Colonel Sanders never faced a backlash for using the word. Schnatter subsequently issued a statement acknowledging the use of "inappropriate and hurtful" language. "Regardless of the context, I apologize," the statement said. The fallout from his comments continued Friday. The University of Louisville said it will remove the Papa John's name from its football stadium, and that it will rename the John H. Schnatter Center for Free Enterprise at its business college. Earlier in the week, the school said Schnatter resigned from its board of trustees. Papa John's International Inc. began operations in 1984 and had more than 5,200 locations globally. The company cannot afford to alienate customers, with sales already under pressure from rivals such as Domino's. 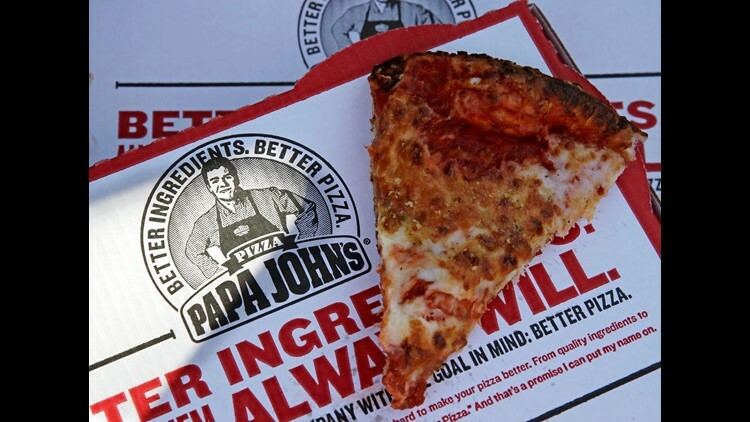 For the first three months of this year, Papa John's said a key sales figure fell 5.3 percent in North America. Follow Candice Choi on Twitter.